Come by our booth and say hello! We'll be hanging out at the Pet Expo, spreading the word about the great work that working dogs do every day. The pups will be putting on a working dog demonstration, and showing the public how fun it is to stay fit! Many of our Superfit Canine Shop items will be available. 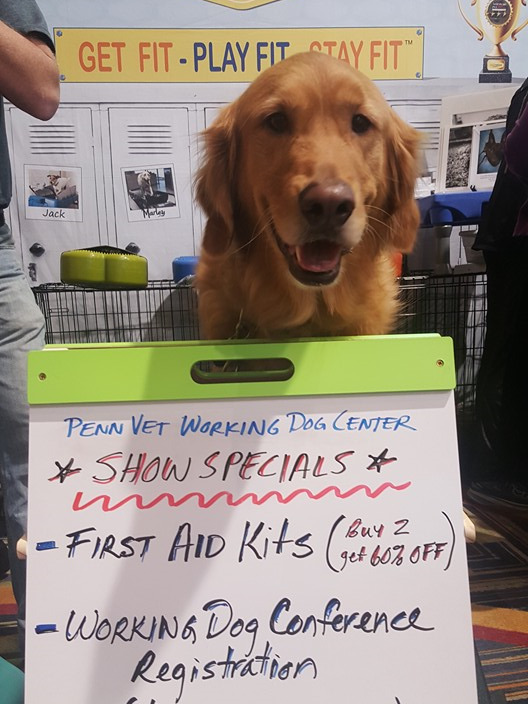 A portion of the proceeds to benefit the Penn Vet Working Dog Center.